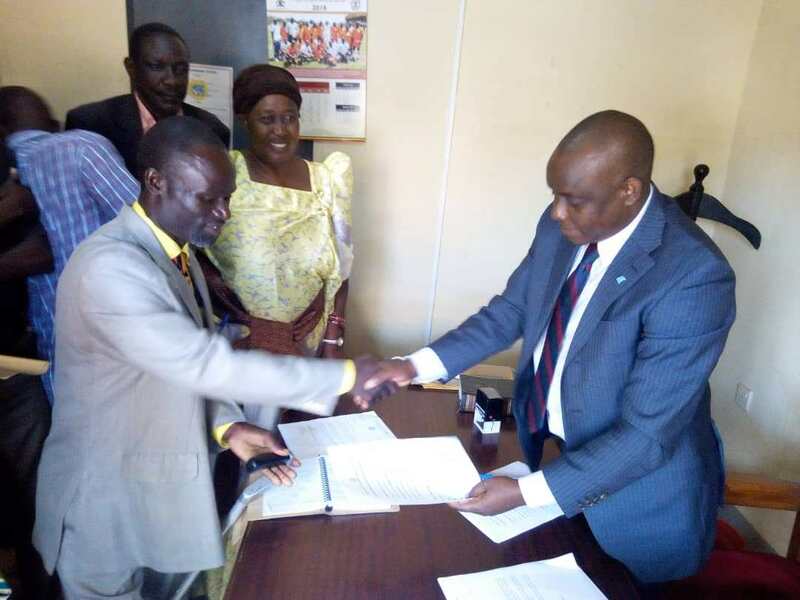 BUSIA – Mr Geoffrey Wandera has been sworn in as the new Busia District LC5 chairman and gazetted by the Electoral Commission (EC) despite the High Court blocking the process. An interim order signed by deputy registrar of the Mbale High Court, Ms Lillian Mwandha, on Monday restrained the EC from gazetting Mr Wandera until December 18th, 2018 when the substantive application for a temporary injunction by the Democratic Party candidate, Mr was filed Mr Deo Njoki Hasubi, is heard. Mr Njoki was protesting his disqualification from the race. But on Tuesday afternoon, at a function presided over by Busia Chief Magistrate Catherine Adwero at the court premises, Mr Wandera took the oath of allegiance. EC on gazetted Mr Wandera on Monday, the same day the High Court in Mbale District issued an interim order stopping the process. “Notice is hereby given by the Electoral Commission that candidate Wandera Geoffrey was returned unopposed as the District Chairperson for Busia district,” the general notice by the EC chairperson, Justice Byabakama Mugenyi Simon reads in part. It added: “ The return of the said by-election in the schedule to this Notice is hereby published in accordance with section 137(1) of the local governments Act, Cap 243 (as amended),”. However, Mr Yusuf Mutembuli, Mr Njoki’s lawyer, said they had served the EC with court order on Tuesday morning. “We got the order and served the EC. They did not tell us anything. It’s unfair if Mr Wandera has been gazetted. It also means the Commission is working on orders of someone,” he said. Mr Wandera was declared winner on Monday after two Independents Chripus Bwire and Tony Ojambo withdrew from the race. The seat fell vacant in May after Court of Appeal in Mbale District threw out the incumbent, Mr Ouma Adea, on grounds that he had been convicted of corruption in 2013. Mr Njoki and NRM’s Paul Boniface Oguttu were disqualified from the race by EC last Friday. 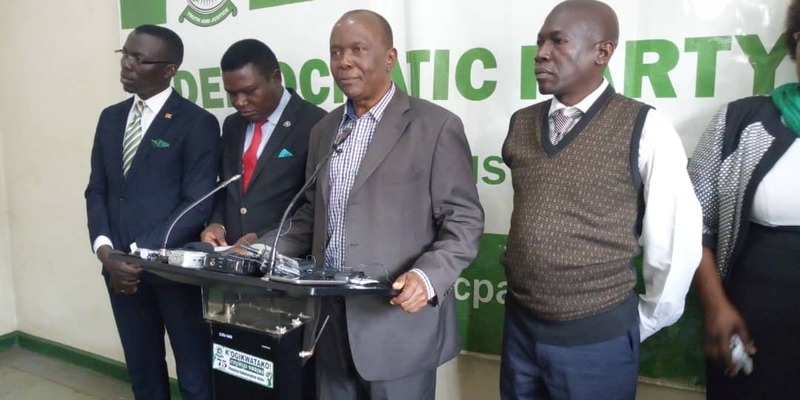 According to the EC chairman, Justice Simon Byabakama the nomination of Mr Oguttu had been cancelled on grounds that the names in the nomination papers he presented during nomination do not match the names on the requisite academic documents accompanying his nomination papers. Justice Byabakama also said Mr Njoki was not a registered voter under the national voters register and thus unqualified to contest.